Set the tone for a mysterious evening with this Quinceañera invitation featuring a yellow, purple & blue jewel adorned masquerade mask. 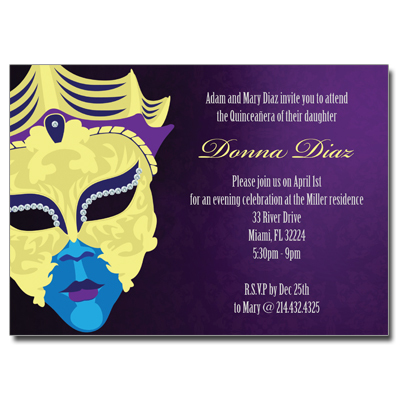 Your event information is printed in white font on a purple and black damask background with the honoree's name highlighted in a yellow script font. Card measures 7 x 5.